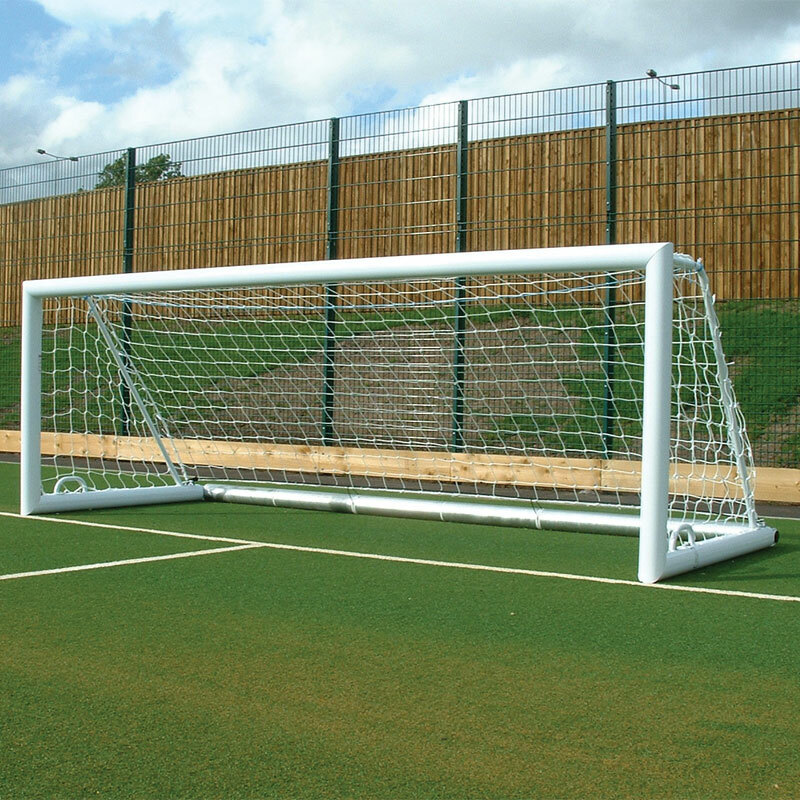 The Harrod Sport ® 5 v 5 3G Aluminium Integral Weighted Football Portagoals are self weighted aluminium goals which comply with BS 8462 safety standards without the need for any separate anchorage. Back bar consists of individual galvanised steel rollers and one supporting axle. 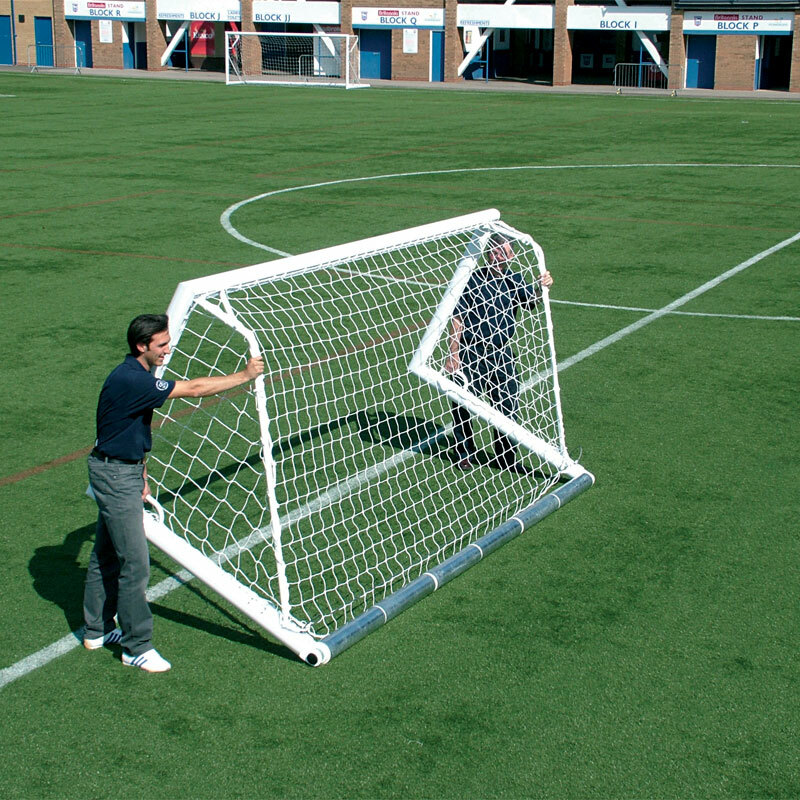 2 x Freestanding Aluminium Goal Posts. 1 x Set of Net Hooks. 1 x Set of Steel Rollers. 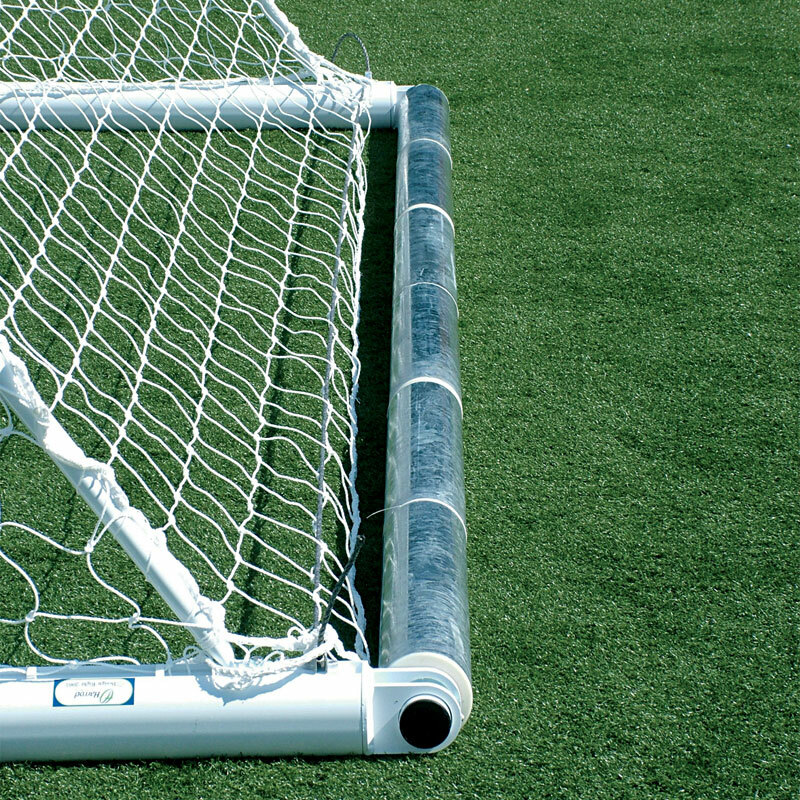 1 x Freestanding Aluminium Goal Post. Uprights, crossbars and side bars made from 102mm x 112mm x 2.2mm thick reinforced aluminium. Handles on side bars makes movement easier. 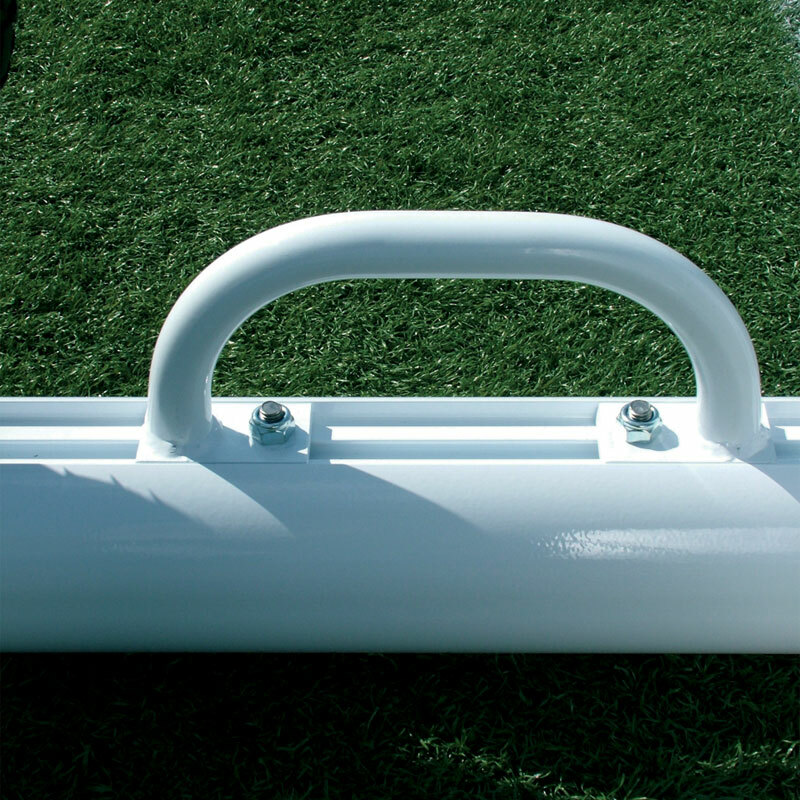 Polyester powder coated white (Excluding back bar). back bar consists of individual steel rollers. 4.88m x 1.22m (16' x 4') - 207kg per pair, 103.5kg per single. Harrod Sport code FBL-644. 3.66m x 1.22m (12' x 4') - 199kg per pair, 99.5kg per single. Harrod Sport code FBL-645. 2.44m x 1.22m (8' x 4') - 192kg per pair, 96kg per single. Harrod Sport code FBL-646.